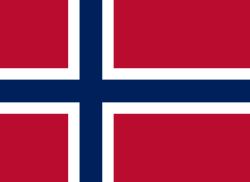 The flag of Norway was adopted on 13 July 1821. It has a white-fimbriated blue Nordic cross on a red field. This page was last changed on 14 January 2018, at 14:01.